Grime and dirt from the road is more than just an eyesore on your equipment. It can cause engine wear and in the case of trucks and cars, cause breaking and steering issues that could potentially be very dangerous for the operator and passengers. Letting these issues go unresolved can also lead to costly replacements down the line. Routine washing can reduce the problems associated with the road while also ensuring that your company image remains pristine. 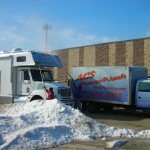 If you have a fleet of vehicles that need to be cleaned from tractor trailers to commercial vehicles, ACS PowerWash is equipped to handle the job. We use high quality, EPA approved, biodegradable chemicals that thoroughly clean your fleet without damaging your equipment or the environment. 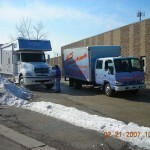 Regular fleet maintenance is a must for any business that has one. Hiring an independent power washing company means no equipment to maintain or labor to insure. 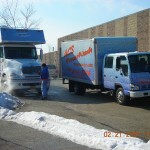 If you are interested in discussing your fleet washing options with us, please don’t hesitate to contact us at 847-446-8316 or email Info@ACSPowerwash.com.